Oops - we don't appear to have a video for the KV-SL3066. Faster scanning is more efficient, more cost-effective scanning. The KV-SL30 Series delivers it in abundance engineering means the scanning time of the flatbed is half that of a conventional model. Additionally, the KV-SL3066 scans at 65ppm/130ipm and the KV-SL3056 scans 45pp/90ipm, making them the fastest of all Panasonic models in the same class. Equally, in terms of flatbed scanning, the KV-SL3066 and KV-SL3056 are just as high performing. 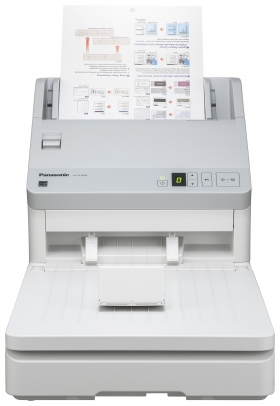 Both can scan at 1.5 seconds, meaning you can quickly digitize notebooks, and thin and damaged documents.